You’ve completed the required instructor course and have started teaching students how to shoot and be safe. Your student learn a lot and you feel accomplished. The biggest challenge all firearm instructors have is taking the time to stay sharp and invest in their own training on a regular basis. Because things change and what you know today as the best way does and will change over time. Back in the 70′ and 80’s police used revolvers almost exclusively and shot them competently. Flash forward to the 90’s and after the FBI Miami-Dade shootout and everyone was upgrading to semi-automatics. Shooting semi-automatics and revolvers are similar but reloading techniques and malfunction drills are different. This is this if you don’t think you need to invest in training or else you will wake up one day and realize what you know is no longer relevant. SO what should you get training on? The most obvious is on firearms so you are as knowledgeable as possible about them. Understanding the difference between full size, compact, and subcompacts are important to answer student questions. Also understand ballistics and how their performance. 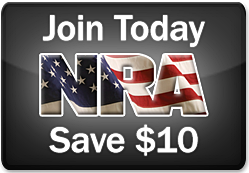 Next seek out training that will stretch your firearm skills. Some training will provide you with a certification (NRA, USCCA, SAFTD, etc…) but other training you’ll take will be from different instructors to see how they approach different topics. This will challenge the skills you already know and show you different ways. You may not agree with all their ways to approach a skill but try their approach and you may learn a new way. Some types of classes to look for would be advance handgun skills, retention classes, low light, fighting from vehicles, and close quarter battle (CQB) classes. Don’t overlook quality books and videos to learn new skills from too. If you watch YouTube videos make sure you critically evaluate what is in the video. There are quality YouTube channels but there are also ones with skills being shown in dangerous ways. While you are taking additional training watch and see how the other instructors interact with their students in the classroom and on the range. Do they approach the topic in various ways to connect with different students? Do they make mistakes by shutting down someone with a question they deem unworthy of their time to answer? Watch what they do and emulate those approaches that best connected with their students and avoid the approaches that alienated the students. Everyone can learn how to interact with different types of people all the time. Don’t overlook improving your knowledge of first aid. You may not be teaching first aid to your students but if you have students on the range you owe it to them to have the knowledge on how to properly address injuries that could happen on the range. Basic first aid of banding a wound, CPR, mouth to mouth, and proper use of a tourniquet. 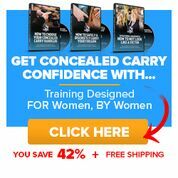 When we teach concealed carry we teach our students to make sure they know and follow the law. 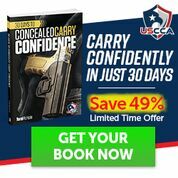 As instructors we should also be staying up to date on relevant news and also legal decision that affect concealed carry. This isn’t so we can teach law (unless you are a lawyer) but so you can properly guide a student’s question so they can find an accurate answer. Remember laws change all the time and there are court decisions all the time too! Our last suggestion is to do some reading or take a class on psychology. This is two fold; first is to understand more how the criminal works and how to avoid becoming one of their victims. second is understanding the completely involuntary reaction our body goes under when put under stress during a violent encounter. Knowing and understanding these aspects of the human psychology is extremely helping in educating your students to be prepared if a criminal selects them to be their victim.